In addition to providing the businesses and residents of Central Florida with exceptional fence installation and repairs, David S. Smith Fence, Inc also offers fence rentals for special events, parties, construction sites and additional situations when you may need a temporary fencing solution. We pride ourselves on being one of the top fence contractors in the Orlando area, and our professionals have been renting and setting up fences for clients for nearly thirty years. 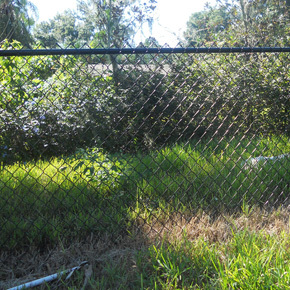 Based in Apopka, we have been in business for three generations, and our team of highly-skilled technicians will provide you with expert fence rental services unmatched by other companies. Customer satisfaction is our number one goal, and we will make sure that you are completely happy when you do business with us. We have a variety of different fences available for rent, including wood, PVC, aluminum, ornamental and chain link. If you need to rent a fence for your next project or event, do not hesitate to give us a call and let us get going on your fence rental today! We are available by phone 7 days a week. For further information, check out Fence Sales page.